First John teaches that while it is important to recognize the lines between truth and error, it must always be done in a spirit of love. 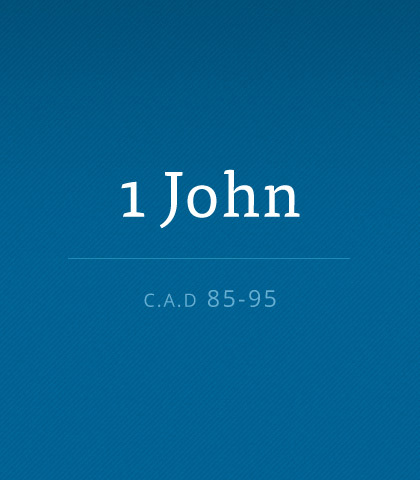 Read more about the book of First John. The housework will always be there, but the kids won’t. Give them all the attention you can. The sacrifices you’re making right now are worth the effort. It’s easy to go along with the crowd. It takes courage to stand alone. When you take a stand for what you believe is right you influence those around you. Expecting others to live according to your list will make you miserable. And if you live according to their list, you’ll be even more miserable. All anger is not bad...and all conflicts are not wrong. But disagreements need to be expressed appropriately and at the right time. If you’d like freedom from stress and anxiety, learn how to rest. Take time to slow down. You can find peace in spite of panic.